Mark Jones has been fishing the waters off Cape Cod and the Islands for more than 30 years. His skills and instincts have made him one of the finest fly and light tackle guides in the area. Not often does Mark return to the dock without achieving his goal for the day. 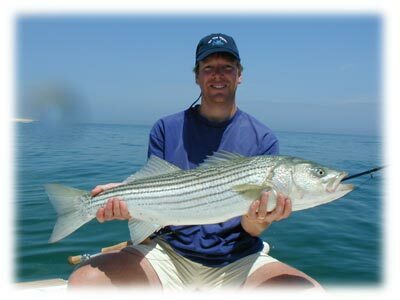 Striped Bass are the the main draw in Cape Cod and Mark knows these fish inside and out. He knows where they will be and when they will be there. Not only striped bass and blues get an education at the end of mark's lines, but he commands respect from those late season travelers too...the exotics: Bonito, False Albacore and the occasional Spanish Mackerel and Jack. 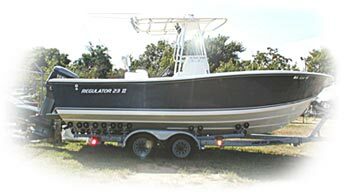 Offshore species include Tuna, blue shark, Bluefin tuna, and mahi mahi. Call or email Mark to book your trip today.